Let's learn how to get a list of installed packages that use most space, with sizes shown as "human readable mode". Even though old kernels have been removed (as described in this preview post), linux-headers packages may still be left behind using precious disk space. Here's how to remove them. After this operation, 1075 MB disk space will be freed. 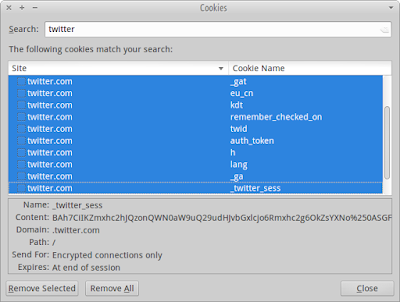 [SOLVED] VLC could not decode the format "hevc"
VLC could not decode the format "hevc"
When trying to log in into a Twitter account using the Firefox web browser, the page refreshes after hitting the login button but our status remains as logged off. 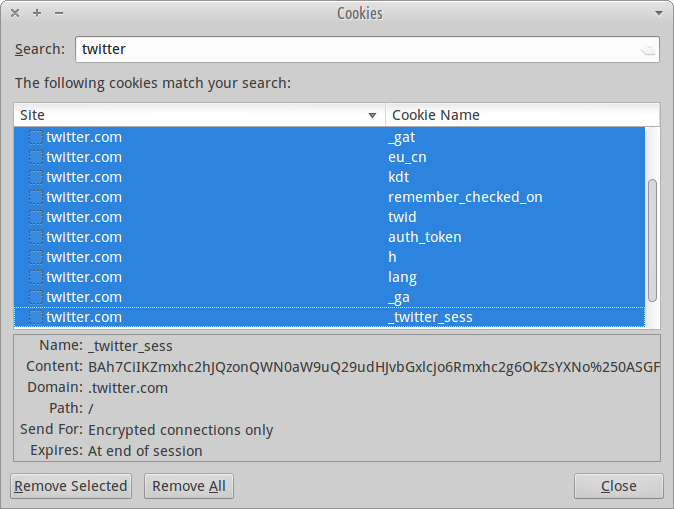 Open the Privacy tab and click on "remove individual cookies"
Voilá! You should be able to login into your Twitter account now. When trying to open an URL with Firefox (eg. via File Manager of Mail Reader), Firefox opens a blank page or your homepage (if it's set to something other than blank) instead of the URL. This situation has been reported and confirmed as a bug (bug #1427144 on launchpad). It seems that the problem is in the file /usr/share/xfce4/helpers/firefox.desktop, and replacing the last line fixes it. You can fix it manually (1) or just run the command (2) that creates a backup and automatically replaces the broken line. In this article we'll learn how to create a PDF file from a bunch of jpeg images (it can be adapted for other image types as well). Change output.pdf to whatever name you like/need. 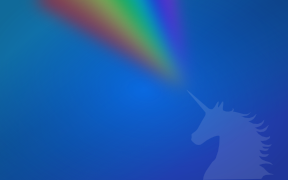 Xubuntu 14.10 Utopic Unicorn has been released. XChat removed and Inxi added to default installed applications. Get it here. You can download the new Xubuntu via Torrent or HTTP. If possible choose Torrent to not overload the servers.